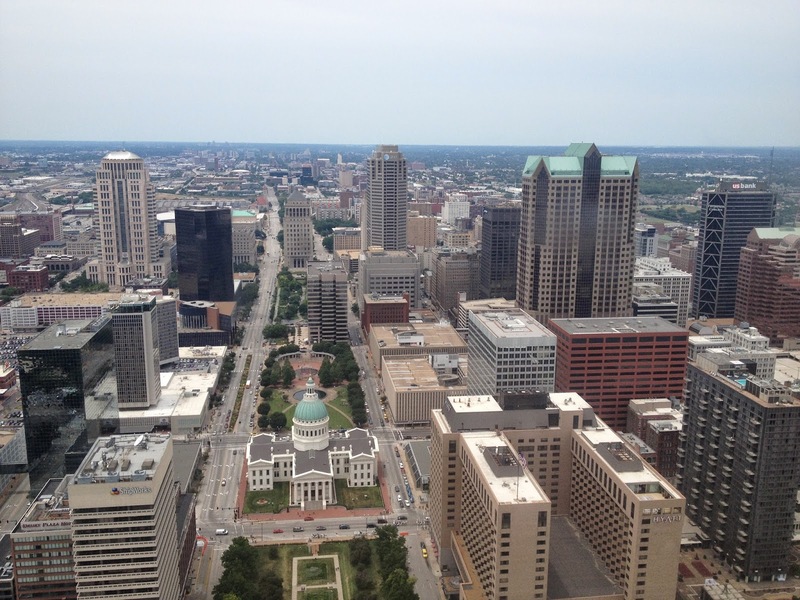 The Book Guardian: Meet me in St. Louis, Louis! Saturday morning, we had to leave town bright and early. Fortunately, a local custard shop owner opened early just for us to have breakfast. 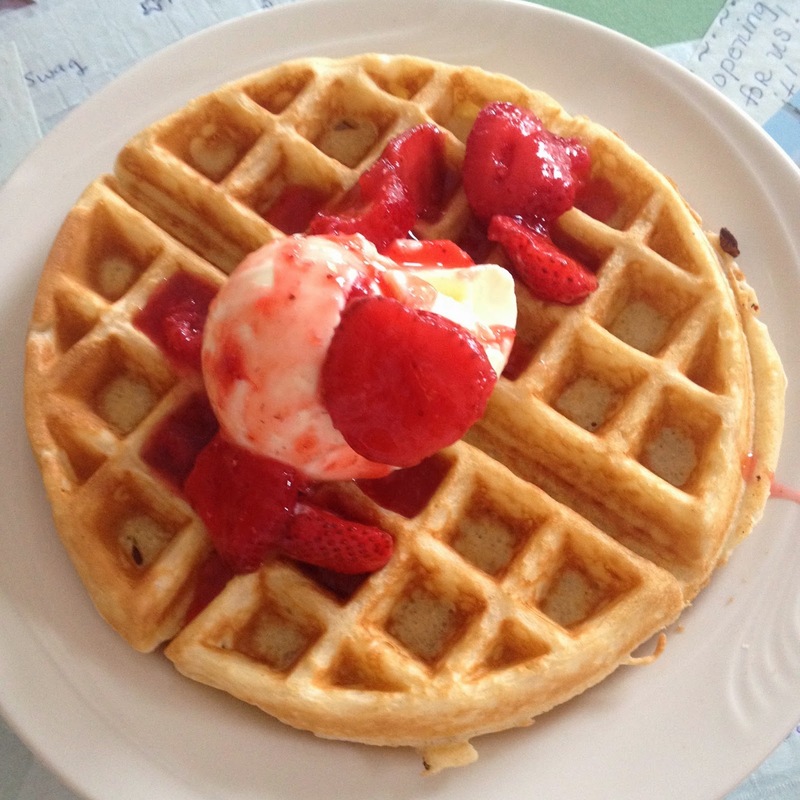 Belgian waffle with lemon custard and strawberries? 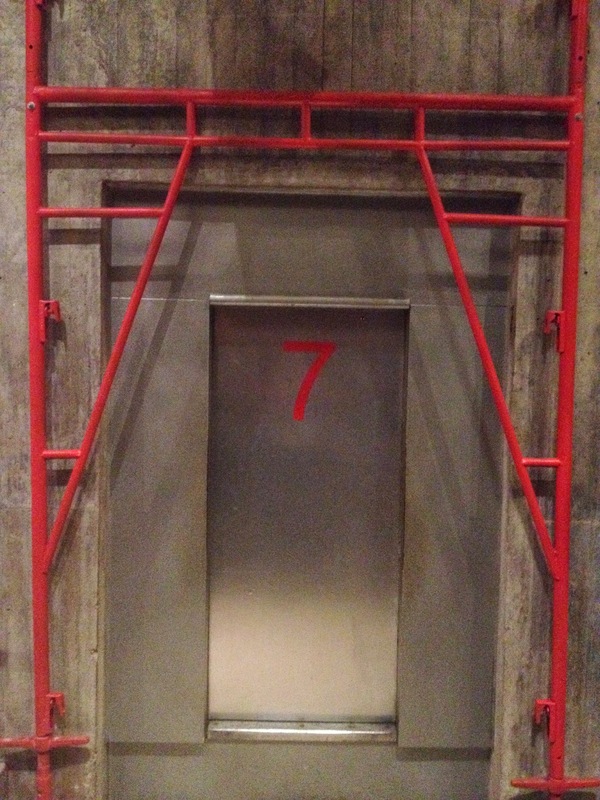 Yes, please and thank you. 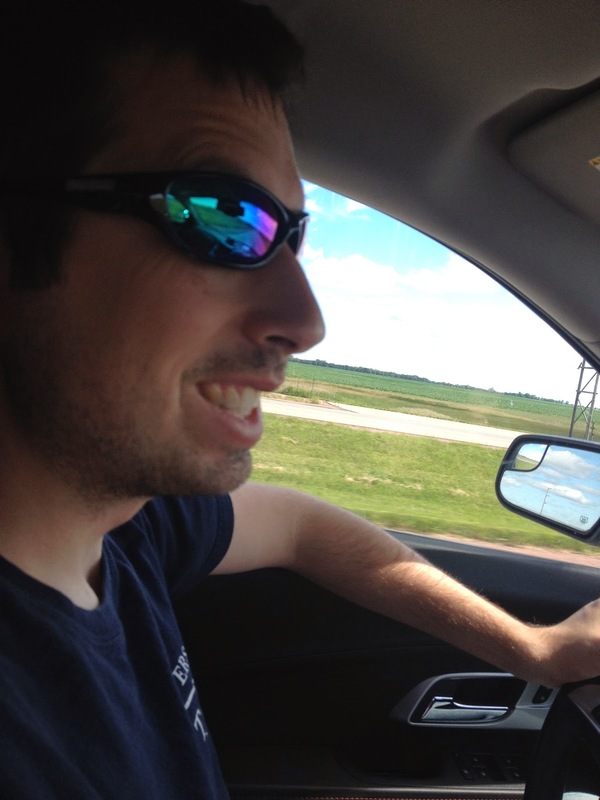 There had been some major flooding in Illinois and Iowa that week (even some of the sites in Nauvoo were in danger), so our journey had to be rerouted a little. We also ran into major road construction and baseball game day foot traffic. 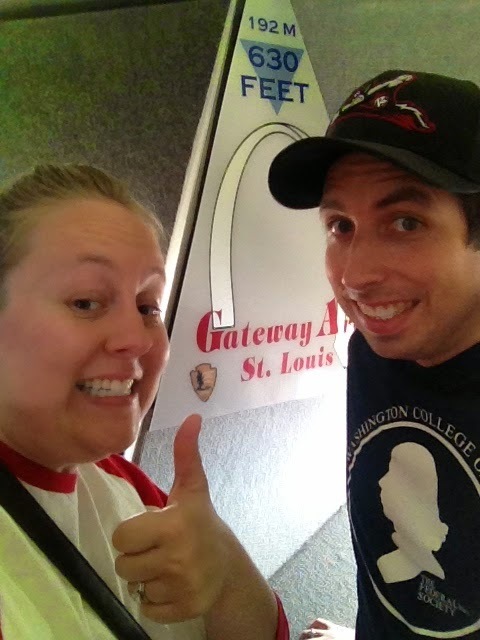 This made our next stop, the St. Louis Gateway Arch, a little tricky. 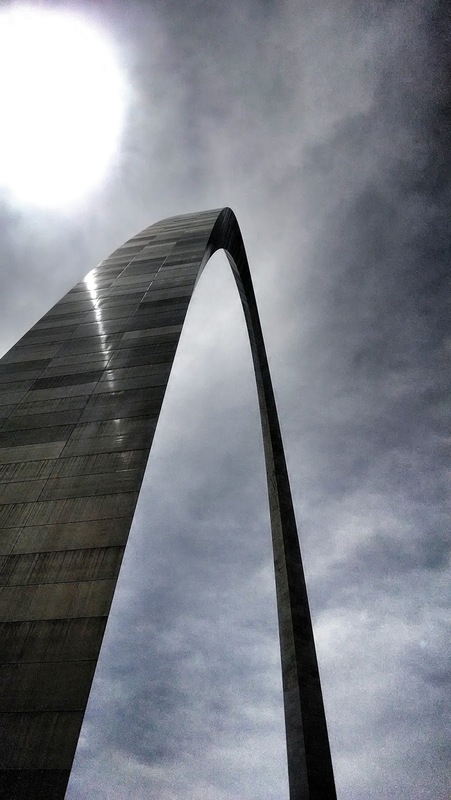 When I was thirteen, we went to the arch as a family, but I was in a cast and dealing with either a wheelchair or crutches and the arch is not accessible. My family refused to go without me, so I was thrilled when Blake suggested we go on this trip. However, we had timed tickets and with all the detours and travel difficulties, we were late. The lines were long and all seemed lost, until we made some phone calls and found some very understanding people who were able to get us up with the next group. It was a journey 17 years in the making and totally worth it! 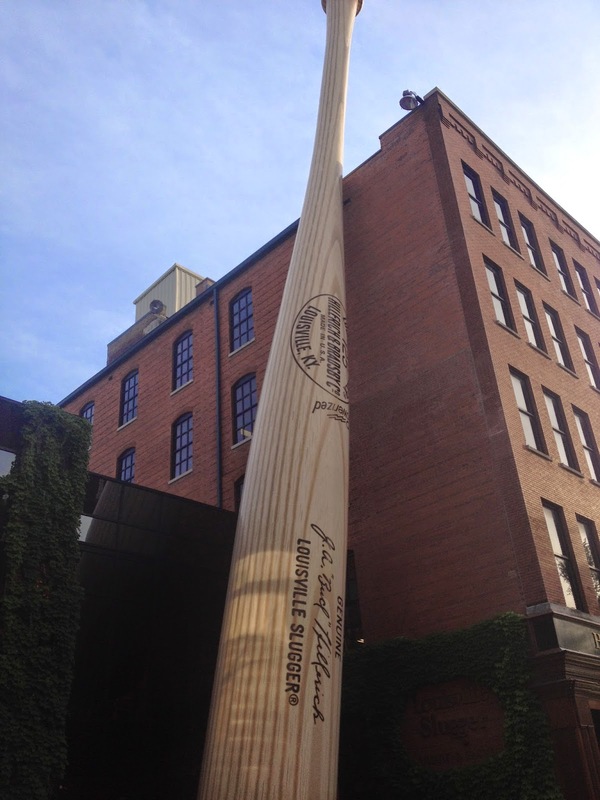 Our final touristy location was the Louisville Slugger Museum and Factory in Kentucky. We met my uncle there and caught the last tour of the day. They take you on the actual factory floor! 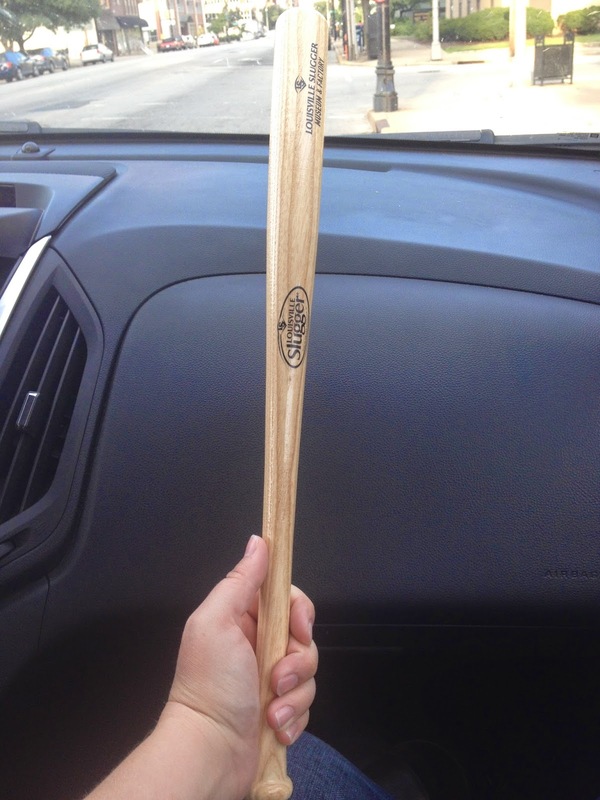 It was cool to learn how they make their bats and get a mini-bat of our own. That night, we stayed with my aunt and uncle in Indiana and enjoyed visiting with them. Sunday morning we headed out and made our final push to home. 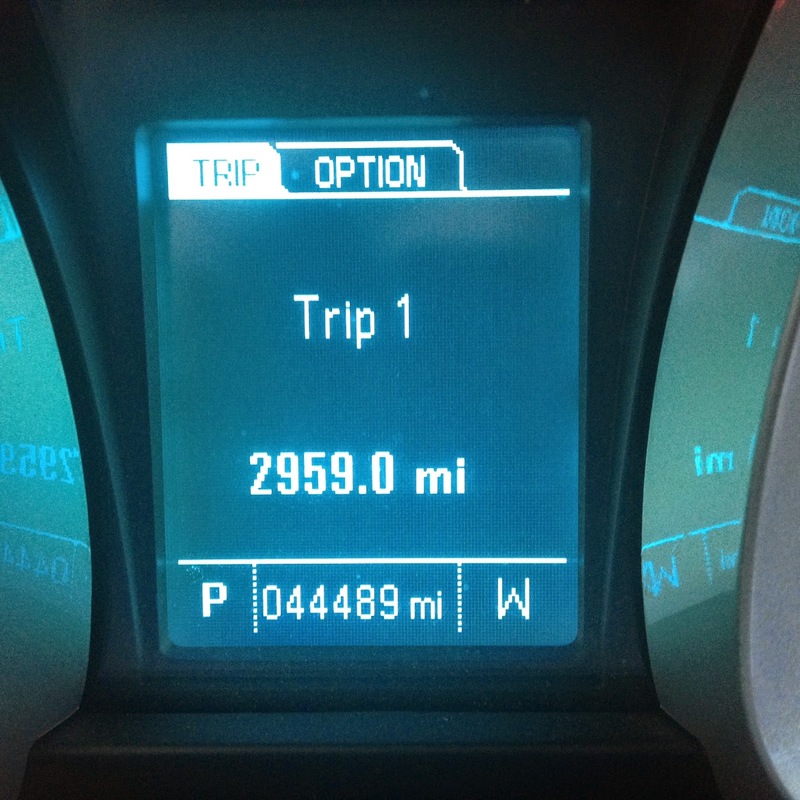 When we weren't stopping and touring, we enjoyed a good 40-50 hours of drive time together. As promised, I napped, but we also had lots of time to talk, listen to (maybe even sing along with) the satellite radio the rental car provided, and listened to an audiobook together (House Rules by Jodi Picoult). It was an amazing time and I'm so glad I got to spend it with my wonderful Blake! Yea for arches and bats!